As with most things in health care, appointment scheduling brings a number of both challenges and opportunities. A key challenge for many medical practices is optimizing patient flow and cycle time. And one factor in particular that plays a major role in the optimization of practice workflows is patients’ arrival time(s). Most of us in the industry are aware that there’s usually a difference between the time that patients need to arrive for their appointments and the actual time the appointment begins with the provider. While there are some cases in which the times are the same, more often than not the two times are quite different. Because every practice is unique and thus has special needs, we’ve designed the Vital Interaction™ system to provide our customers with a wide variety of features and flexibility with patient messages to help improve their workflows. Read on for a look at some common reasons for differing arrival and appointment times and tips to consider when establishing an arrival time that helps optimize your workflow. Arrival and appointment times usually aren’t the same and often vary due to appointment type, location, provider, or some combination of these variables. Patients need to complete paperwork, payment, insurance verification, and other pre-appointment tasks. Practices encourage patients to arrive early because many run late. There are tests, lab work, or other prep work that need to be completed prior to the appointment. Practices intentionally overbook certain time slots—such as those around lunch time or the first appointment(s) of the day—so that patients arrive as early as possible and are ready to be seen. Providers work quickly, bumping up some appointments. Surgical centers or other locations have different rules on pre-appointment tasks that need to be completed. Providers have different rules or needs—including those with the same specialty or appointment types. Of course, this list isn’t exhaustive. 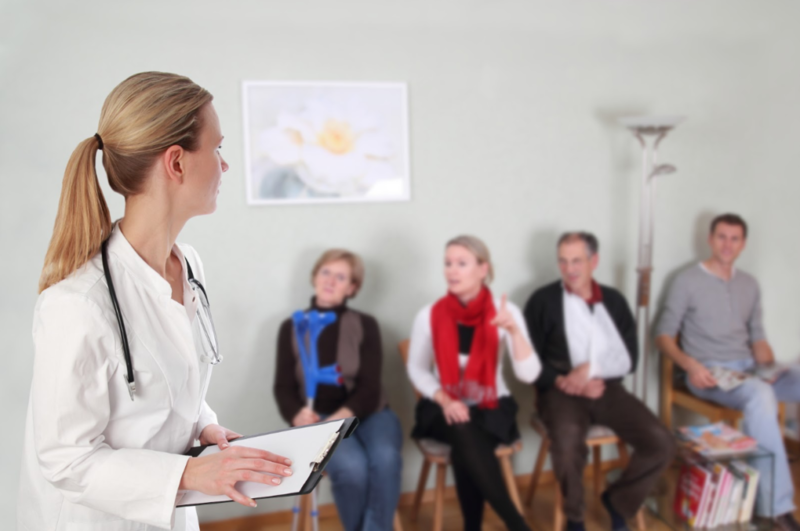 There are countless other reasons why patients’ arrival and appointment times differ. Your practice’s arrival and appointment times, for example, may differ for one or more—or even none—of the above reasons. Regardless, it’s important to be strategic and intentional about patients’ arrival and appointment times to create an efficient, sustainable workflow. Let’s now look at some factors worth considering when determining an arrival time that will benefit both your practice and your patients. When it comes to developing guidelines for patients’ arrival times, few practices are the same. We have observed practices that adjust patients’ arrival time to as much as one hour prior to appointments as well as those that have patients arrive as little as five minutes early. There is no one-size-fits-all solution—it’s about figuring out what works best for your practice and patients. What your goal is—For example, if your goal is full provider utilization, you may want to consider asking patients, in all cases, to arrive 30 minutes early and overbook certain days and times of the week. How many activities/tasks must be completed prior to seeing the provider—Sometimes new patients or certain procedures require a lot of work on the front end, making it important for patients to arrive much earlier than the actual time they see their provider. Whether your patient population consistently runs late or fails to show—In certain cases, you may want to consider providing patients with an appointment time that is 15 or even 30 minutes prior to the actual time of the appointment. As with most workflows/operational processes, figuring out a suitable arrival time will likely require some trial and error to see what works best for both your practice and your patients. We recommend taking full advantage of the customizable message features available to you via the Vital Interaction™ system. And we can easily adjust patients’ arrival time based on the needs of your practice. If you need help getting started with or adjusting this setting, reach out to our Support team today. We’ll help you take your patient messages to the next level. Does your patient communication system offer the features and flexibility you need? At Vital Interaction™, we offer a range of interactive tools that increase practice efficiency, reduce no-shows, promote patient engagement, and Improve patient satisfaction. Discover the Vital Interaction™ difference—get started today by calling (512) 487-7625.